Image: “San Diego Comic Con 2007 – Kung Fu Panda” by Joe Wu under CC By 2.0. Starting on April 1, you and your family can enjoy all-time favourite animated films five Wednesdays in a row. All screenings are free of charge and take place at Westbrook Welcome Centre, located at 3378 Westbrook Mall. Below are short synopses and details of the screenings. Wednesday, April 1 4:30 p.m.
Mumble the penguin, who is a tap dancer, is frustrated that Erik, his son, is reluctant to dance. Instead of following his father’s footsteps, Erik discovers a new role model—a penguin that can fly. Mumble is determined to set things right. Wednesday, April 8 4:30 p.m.
Mr. Peaboy, the most accomplished dog in the world, and his boy, Sherman, embark on exciting adventures using a time machine. One day, Sherman tries to impress his friend, Penny, by showing off the time machine, except he accidentally rips a hole in the universe. What happens now? Wednesday, April 15 4:30 p.m.
A meteor full of space gunk strikes bride-to-be Susan Murphy. She finds herself turned into a giant, which the government wants to confine with other monsters. However, when an extraterrestrial robot lands on Earth and causes a mess, the government may instead want Susan to fight the alien. 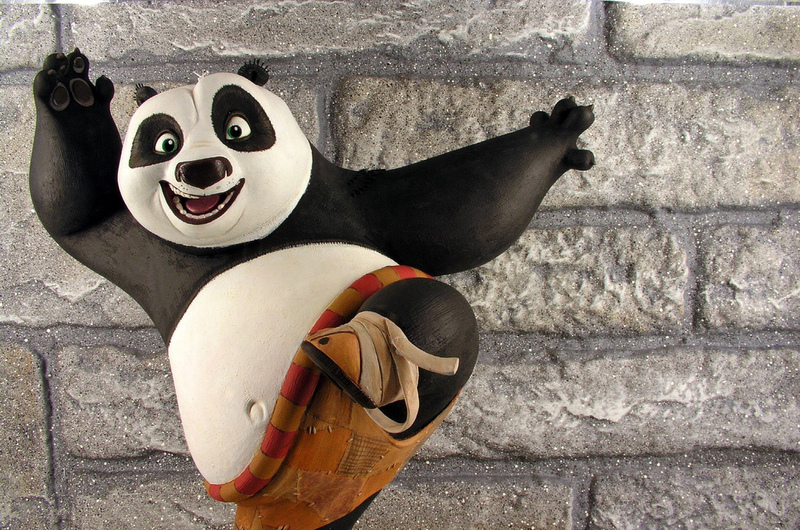 Wednesday, April 22 4:30 p.m.
Po the panda dreams of becoming a kung-fu master, but he is only an employee at his family’s noodle shop. His dream comes true when he becomes a chosen one destined to fight an evil kung fu warrior who is escaping prison. Wednesday, April 29 4:30 p.m.
Five years after Hiccup and Toothless united the dragons and Vikings of Berk, they now adventure through the island’s unmapped territories. During one of their adventures, they discover a mysterious dragon rider who turns out to be Hiccup’s mother. For more information on the afternoon movies, please visit http://discoverwesbrook.com/. In time for a new season, we have a new edition of the Guide to Resources & Supports for Parents. 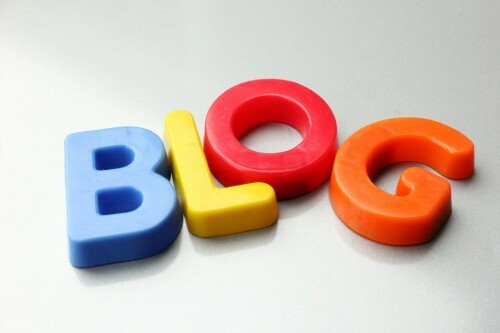 You can access the guide on the Students who are parents page. Don’t forget to also drop by Access & Diversity’s booth at the upcoming seventh annual Multicultural Family Resource Fair on Friday, March 27 from 10 a.m. to noon at UBC Acadia Commons Block, 2707 Tennis Crescent. We will have various resources available for the taking and interactive activities for you and your child(ren). We added an interactive map (P. 9) for housing cost by Vancouver neighbourhood from The Ubyssey to allow you to better compare housing options. We added child subsidy options on P. 12 to include BC Family Bonus Program (up to $111 per child per month) and the Canada child tax benefit. We added additional food options on P. 19 to include Sprouts, which offers affordable vegan lunch by donation (suggested $1) every Friday, as well as the information on the Greater Vancouver Food Bank Society. 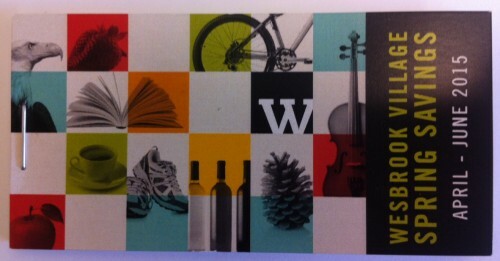 We added how and why you should get a UTown@UBC Community Service Card on P. 26, in case you haven’t yet. We added plenty of tips on activities you can do with your child(ren) on campus, from a stroll in the Nitobe Garden (by donation during winter) to hands-on programs at the Beaty Biodiversity Museum, which is free for students and children age 4 and under (P. 35-36). As for off-campus activities, you can now read about YMCA camps and skating for free at Robson Square Ice Rink on P. 37-38. Last but not least, we updated all the links, so they would lead you to the right places! We hope you find the latest edition useful. “Swim Lessons” by ICMA Photos under CC 2.0, cropped from original. UBC camps offer a lot of flexibility. Since most camps either take up the morning or the afternoon, you can custom-build a full-day camp, as long as you add in “lunch supervision.” UBC camps are tailored to kids of different ages and interests. Camps range from music camp, e.g. Little Mozarts for four to five year olds at $250 for five mornings, to Lego Design Robotics at $135 for five afternoons (eight to 12 year olds). Ever find yourself wishing that activities on campus were more affordable? Hope these free and low-cost tips could allow you and your family to have fun without hurting your wallet. Did you know that swimming at the UBC Aquatic Centre is free for current UBC students? All you need is your student card. For other members of the family, the pool includes free access for children under 3 years old, Toonie Swim, and free swimming and aquatic classes for all at the beginning of each academic term. If you have a Community Service Card, which you can apply for if you live in Acadia Park or the University Apartments, single drop-in starts at $2.75. The Aquatic Centre includes a 50m indoor pool, hot tub, steam room, fitness area, weight room, diving boards, among others. To see the drop-in schedule, please visit recreation.ubc.ca/aquatics/aquatics-drop-in. From public skating to family hockey, UBC students have access to the Thunderbird Arena for free. Entrance for children and other family members start at $2.75 for drop in with the Community Service Card. Skate rentals are between $3.50 and $4.50. To see the schedule, please visit recreation.ubc.ca/ice/ice-drop-in. As the weather gets nicer, UTown@UBC is offering a six-week fun and interactive after-school program for your kids and teens. 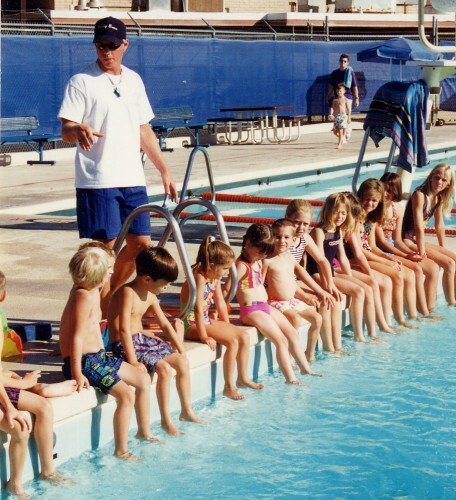 Kids Fit, engages kids 7 to 12 years old in games, sports, swimming, and outdoor activities. It runs on Mondays and Wednesdays from 4 to 6 p.m. from May 11 to June 18 and costs a total of $35. Youth Fit, for youths between 13 and 18 years old, runs on Saturdays from 3:30 to 5:30 p.m. and Mondays from 5 to 7 p.m. between May 9 and June 15 and costs $50. Although Youth Fit activities are subject to participants, they could include rock climbing, bowling, soccer, fencing, and dragon boating. Both programs give priority to UNA and UTown@UBC residents, but general public will be admitted if spaces are available. Registration for both closes at 4:30 p.m. on May 4. To register, please visit www.utown.ubc.ca/youthfit or www.utown.ubc.ca/kidsfit. In the basement of the Student Union Building UBC Sprouts hosts “Community Eats” every Friday to provide vegan lunch by donation (suggested $1). The doors open at 11:30 a.m and is open until all the food has been served. Be sure to bring a reusable container and utensils. On other days of the week, Sprouts serves food and drinks at affordable prices. For more information, please visit ubcsprouts.ca. As UBC students, you can visit both the Nitobe Garden and the Botanical Garden for free. The greenery could just be the oasis you need with your family after a busy day. In winter times, Nov. 16 to March 14, the gardens are open to the public 9:30 a.m. to 5 p.m. by donation. 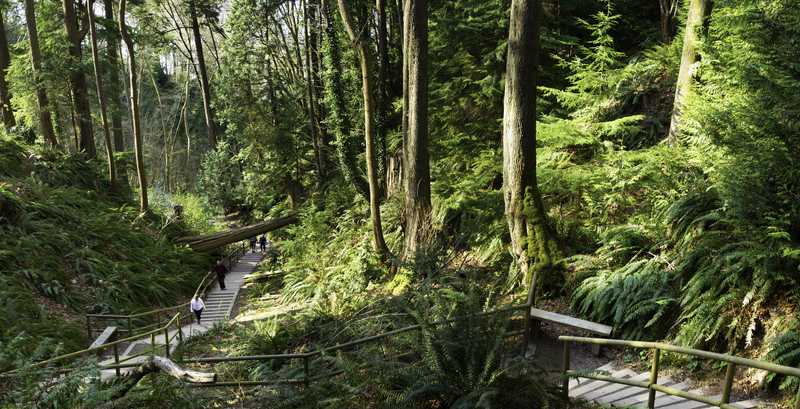 For other nature walks, you can consider Wreck Beach if you are ready for 400 stairs down and up, Tower Beach (fewer stairs), or Pacific Spirit Park trails. You can access plenty of museums and galleries on campus: Museum of Anthropology (free for UBC students and children 6 and under), Morris and Helen Belkin Art Gallery (free admission to all), Beaty Biodiversity Museum (free for UBC students, faculty, and staff and children age 4 and under), and Pacific Museum of Earth. If you enjoy concerts, the School of Music frequently puts on free concerts for all to enjoy. To see the schedule, please visit music.ubc.ca. YMCA of Greater Vancouver offers perhaps the lowest-cost camps for the entire duration of spring break, from March 9 to 20, 8 a.m. to 5 p.m. Monday to Friday. For $147, your 6-12 year old(s) can stay either at the Langara Family YMCA (282 West 49th Ave.) or Robert Lee YMCA (955 Burrard St.), both a 30-minute bus ride from UBC. Both camps include a trip to Fort Langley and Science World, sports, games, and the recommended 90 minutes of daily physical activity. YMCA offers need-based financial assistance to cover part of the cost. Can you imagine easier drop-off and pick-up than right here on campus? Over spring break, your kid(s) can dive underwater with the Scuba Camp at the Aquatic Centre, explore the forest with UBC Ropes Course, or shine in the spotlight with the Performing Arts camp. 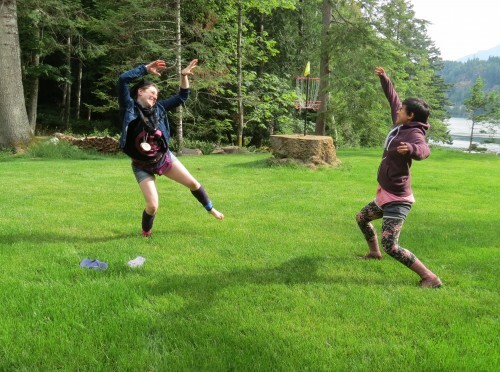 UBC’s Spring Programs are mostly half-day, week-long camps that cost between $133 and $288. The good news is that most of these courses are eligible for Community Service Card discounts. Right behind Thunderbird Residence, the Old Barn Community Centre is conveniently located. The only downside is that these camps are a little pricey, though you can get 10 percent off with a University Neighbourhood Association (UNA) Access Card. Literary and writing camps from 9 to 4 p.m. cost $270 for five week days. Two-hour-a-day camps for 3-5 year olds cost $150 for five week days. You can register for camps and apply for a UNA Access Card on UNA’s website. If you would like more flexibility in your child(ren)’s spring break activities, Dunbar Community Centre has independent day camps every week day for children 7 to 12 years old. For $40 a day from 9 a.m. to 4 p.m., your child can go bowling, to the movies, and to attractions such as Science World and the Aquarium. For children anywhere from 1 to 12 years old, the community centre also offers hour-long and half-day programs in cooking, writing, and even good manners, among others. For more details, please see pages 10-11 in its Recreation Guide. You may qualify for discounts with the Leisure Access Program. Located about 25 minutes by bus from UBC, Kitsilano Community Centre offers some creative programs, from building NASA space program models to seeing their LEGO creations in motion with motors. These 3-hour creative programs cost $177 for five sessions, while more traditional, 9 a.m.-3 p.m. programs cost $149 for five week days. 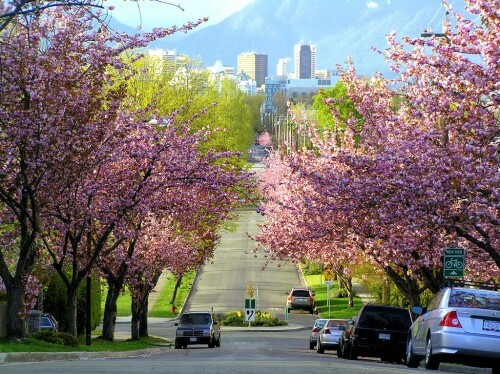 Located a 15-minute bus ride from campus near Jericho Beach, West Point Grey Community Centre is closer than both the Kitsilano and Dunbar community centres. 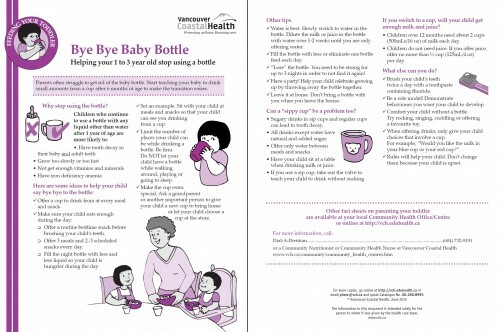 West Point Grey has probably one of the longest programs for 3-5 year olds, at 4 hours a day, $145 for five days a week. For children 6-12, the program including activities such as baking, swimming, and skating cost $145 for five week days, from 9 a.m. to 4 p.m.
After powering through January, we finally get a break in February on Family Day, Monday, Feb. 9! Vancouver has plenty of low-cost and free activities to keep both you and your little one(s) active and bonding. 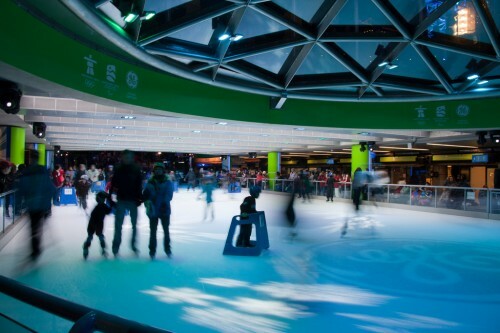 Situated in the heart of downtown, Robson Square Ice Rink offers free skating, skate rentals, and music for the whole family. The rink is open 9 a.m. to 9 p.m. with free hot chocolate from noon to 4 p.m. You can get to Robson Square by busses 14 and 4 from UBC, getting off at Robson St.
UBC Aquatic Centre is open on Family Day with obstacle inflatables set up in the deep end, and two headed dragon set up in the shallow end from 11:30 a.m. to 2 p.m. The pool is free to UBC students and $2 for others during the period. Kerrisdale Cyclone Taylor Arena (5670 East Boulevard) is offering half-price skating on Family Day from 4:15-5:30 p.m. Family rates with discount would come to $1.45 per person. Skate rental costs $2.86. Those part of the Leisure Access Program, which low-income Vancouver residents can apply for, can swim, skate, and rent for free at the Kerrisdale Community Centre. For more information, please call (604) 257-8121. Drop by the Kitsilano Community Centre at 2690 Larch Street between 10:30 a.m. and 1:30 p.m. on Family Day for free family-friendly activities and entertainment. For more details, please reach the community centre at (604) 257-6980. At the West Point Grey Community Centre (4397 West 2nd Ave.), families can enjoy free activities from 9 a.m. to 1:30 p.m. The day will start with zumba for all ages from 9 to 10 a.m., followed by the main celebration from 10:30 a.m. to 1:30 p.m. Parents and children can enjoy arts and crafts, playtime, and a bouncy castle.